Pokerhandsguide.com is dedicated to poker and everything related to it. Here you can read about strategy table, probabilities winning poker tips and poker betting. It is a known fact that poker betting is held on world-famous series of poker tournaments like WPT, EPT, WSOP. But what was the purpose of betting and when? Let’s take a glance on its history. Betting is a widespread type of entertainment related to gambling and used all over the world. It can be described as an activity related to prediction of results and consequently obtaining profit. A player can choose the most suitable sphere for betting where he can use his knowledge and skills. People have always sought rivalry and have invented betting as early as ancient times. Not only money, but also jewelry, housing and servants could become a stake. With the evolution of humanity the subject of betting has changed a lot. 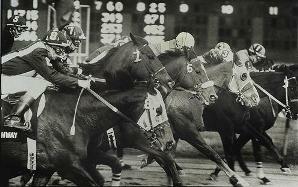 A professional approach to betting has been invented in horse racing tournaments. First races have been held simply as a way of comparing different horses and demonstration of their value to potential buyers. But, to make the show more exciting, viewers have started to make bets on horses. The first horse race with bets took place in Bois de Boulogne in France on May 15, 1651. This event can be considered as a beginning of sports betting. As a result, people started to procure services of professional bookmakers and later tote boards appeared - devices that automatically calculated the distribution of rates and hence odds. To increase the size of win bookmakers began to complicate the subject of rates. It was possible to predict not only the winner of a one lap, but of consecutive races as well. And what about the odds? They were high enough.